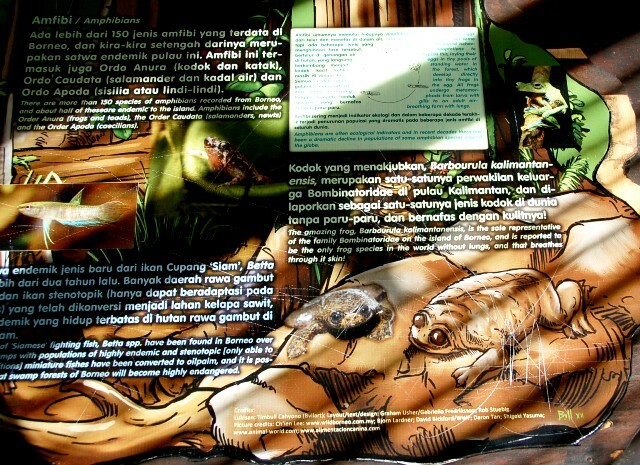 Balikpapan’s Sun Bear Sanctuary lies in the Sungai Wain preservation area of East Kalimantan’s rain forest, off Kilometer 23 on the road to Samarinda. 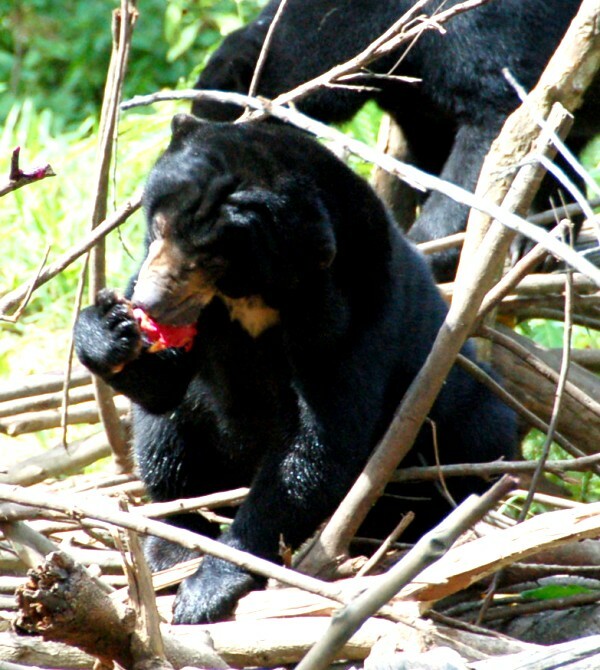 Here, seven sun bears rescued from poachers and other threats roam the 3.25 acre natural enclosure. 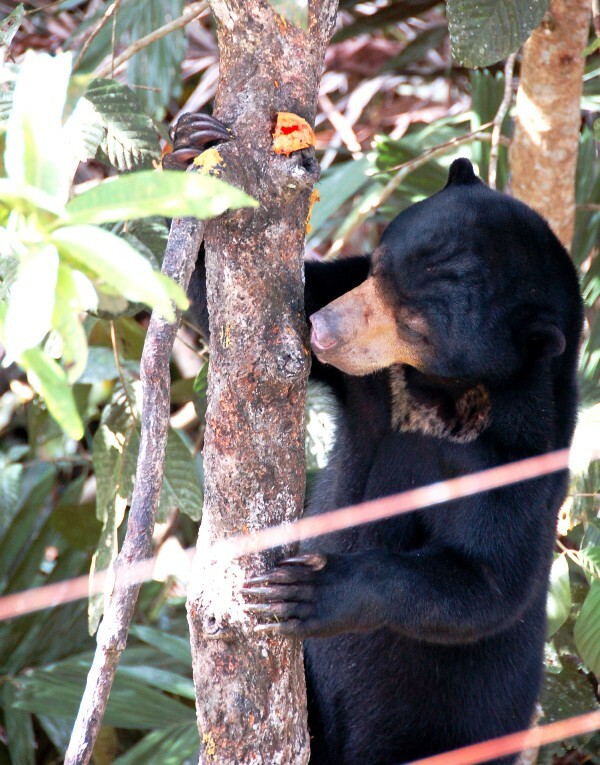 Twice daily, the bears, whose Indonesian name “Beruang Madu” actually translates to honey bear, pad their way from the trees to the electric-fence perimeter for feeding. 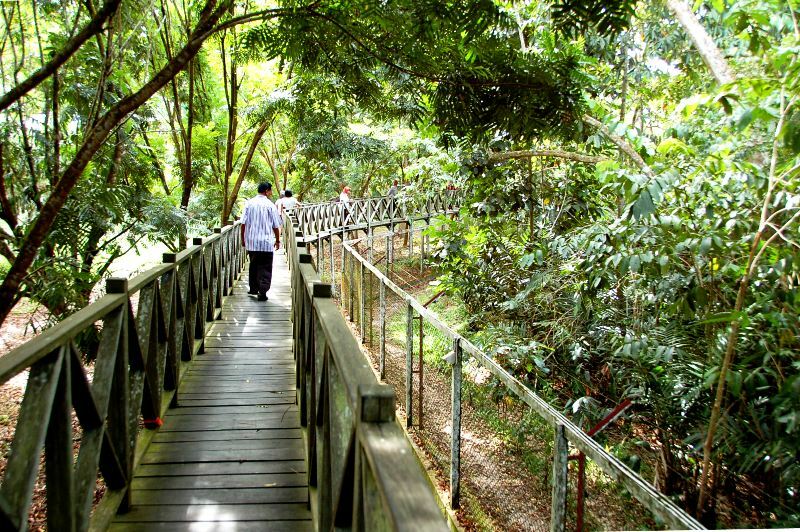 Visitors can walk the wooden platform encircling the fence to watch as the Beruang Madu sniff out dragon fruit (buah naga) and durian strategically placed on logs and in trees. Even though their eyesight is purported to be quite good — as sharp as human’s, in fact — they don’t seem to use their eyes, but rather their nose. We watched them sniff about several times when approaching a piece of fruit, their nose wagging back and forth even though the bright pink buah was right before their eyes! 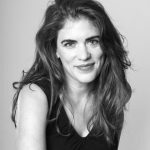 The whole process seemed more of a game to the bears than simply feeding time; so much so that we felt as if we were witnessing an Easter egg hunt … only healthier! Once the beruang madu locate their treat, they use their paws similarly to how we use our hands. In fact, the manner in which they moved reminded us more of an Orangutan than a bear. They sit like us, too. 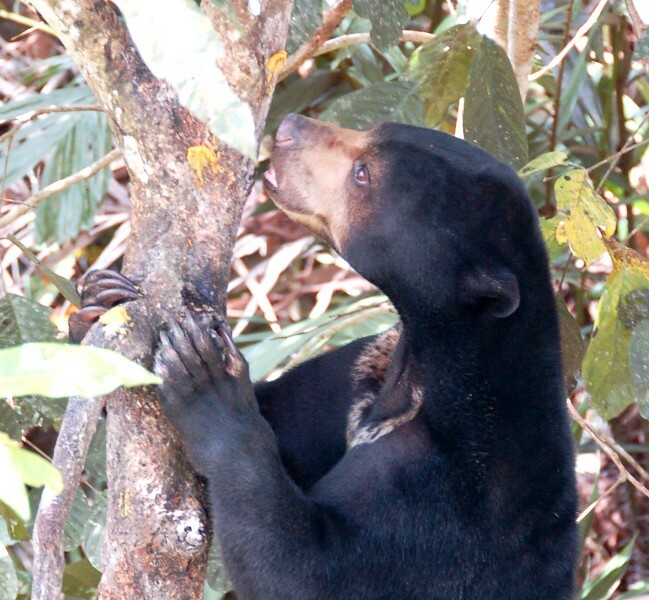 I could never get a good picture of it, but sometimes the sun bears would grab their dinner with both hands, then sit on their bottom and eat, much in the manner in which a child might sit on the grass and eat a sandwich. It was pretty cute. They’re also good climbers. They’d raise themselves up on their two hind legs when detecting a snack nesting between tree branches, then climb toward their prize with a gentleness that almost seemed dainty. 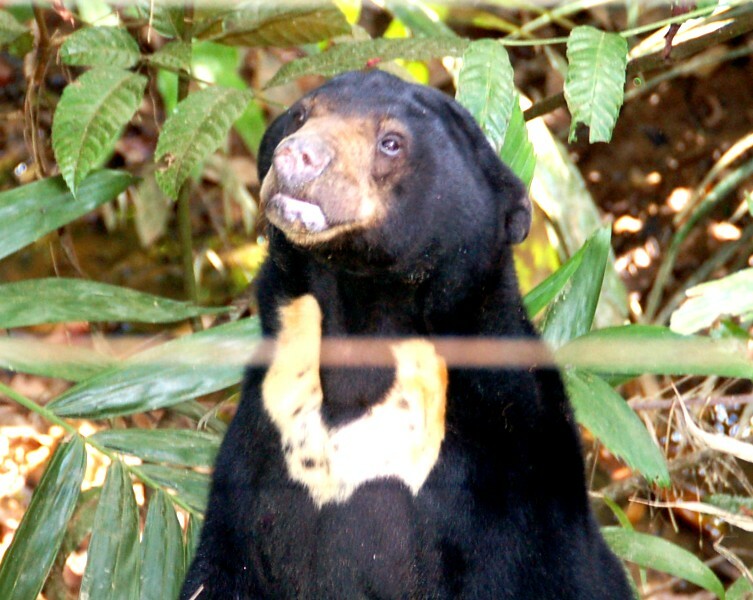 When they do raise themselves up, their light-colored “sun patch” is on full display, and apparently, each sun bear has a patch distinct in pattern, much like a fingerprint. We were surprised by how tiny they are. 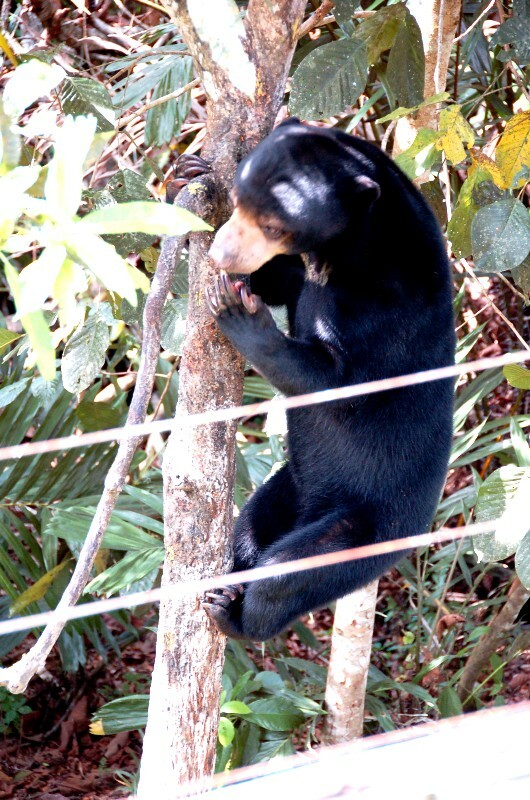 The photo below shows Dewi, a petite lady who works at the sanctuary, standing in front of a sun bear (I think she said his name is Bedu) scrounging around in the ferns below for his dinner. 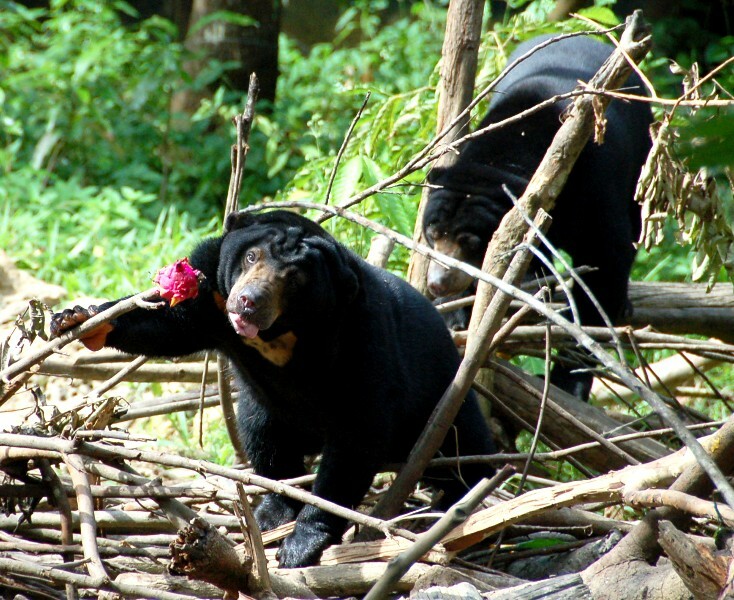 Perhaps their size and seeming gentleness are why sun bears are often captured and then used as pets or performance animals — a popular thing to do in the past (and still somewhat today, sadly). They are also hunted for their fur, their claws which are used in local traditional jewelry such as Dyak necklaces and vests, or for their bile, which is highly prized for its medicinal properties in Chinese medicine. Dewi explained that out of the seven sun bears currently living at the sanctuary, only five were out roaming today because the other two are recently rescued from poachers and thus remain in quarantine. Out of the five roaming, four of them are males and one is a female, ranging from five years to twenty-one years of age. The two quarantined are only one and half and three years old, respectively! 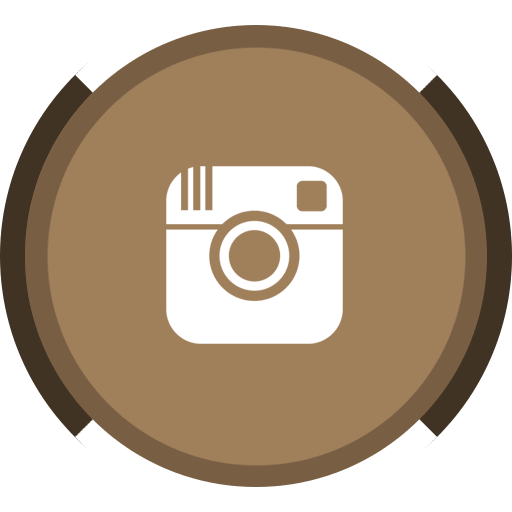 As for the five roaming bears, Dewi said they eat a collective total of ten kilograms (about 22 pounds) of fruit a day. 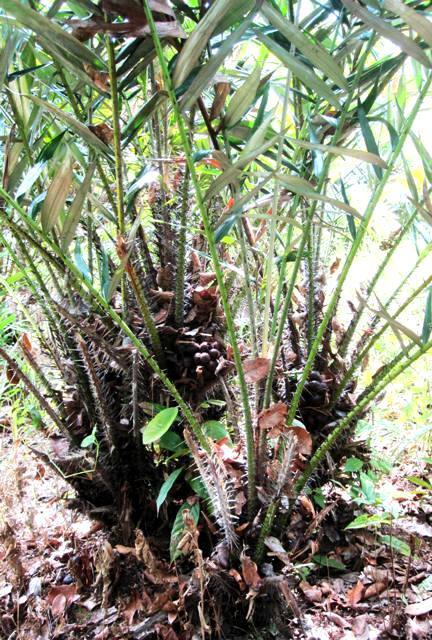 That seemed like very little for five bears, but she said they snack between meal times on food found within their sanctuary, feeding on ants, termites, beetles, wild honey and fruit found in the forest, such as the strange salak (snake fruit), which looks exactly as named and grows toward the base of thorny, palm-like trees. 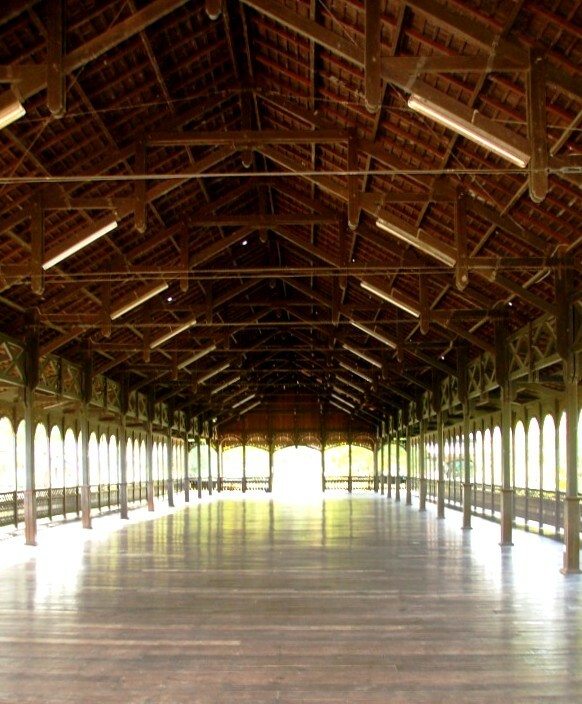 Several Dyak longhouses are on display within the sanctuary as well. These now-rare structures are made of iron wood and back in the day, would house multiple families within a Dyak village. 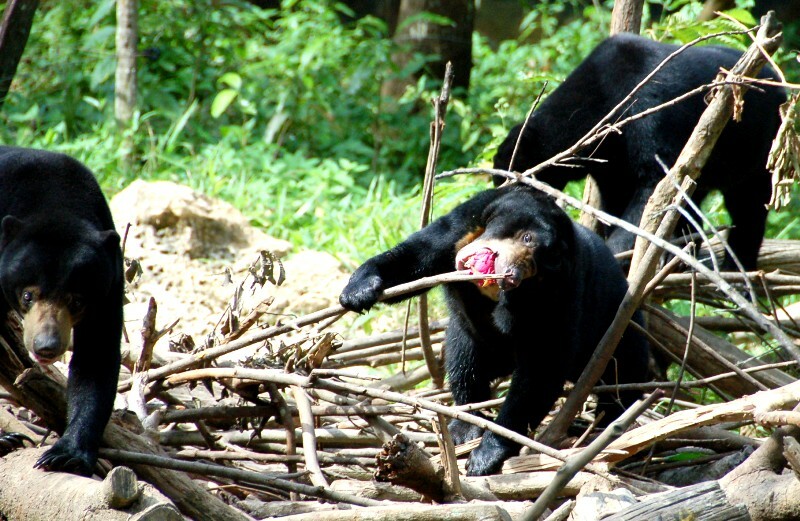 While the sun bear sanctuary itself has only been open since 2006, Dewi said that some of the longhouses on site were obtained back in 1970. These structures reminded us of the fales found in the South Pacific, actually, and like the fales, the high, exposed roof, steep slope and low, open windows provides a surprisingly cool environment within. 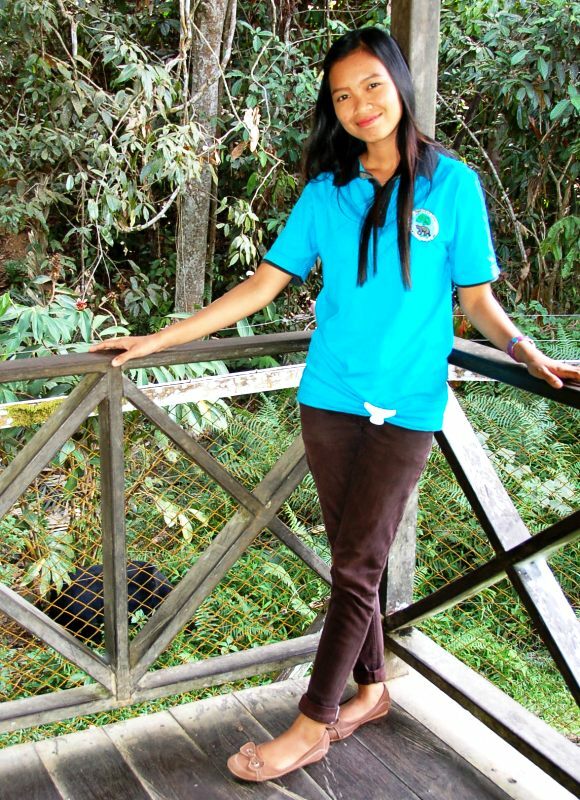 Getting to the sun bear santuary takes about an hour from Balikpapan, Kalimantan. 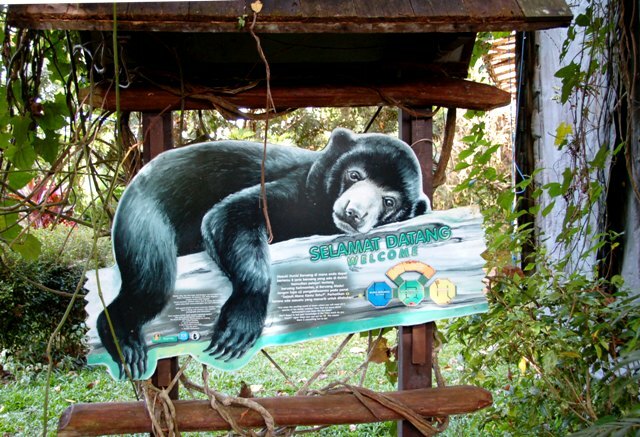 While admission is free, a donation box right before the sun bear walkway provides the opportunity to support the sanctuary and the bears that live here. 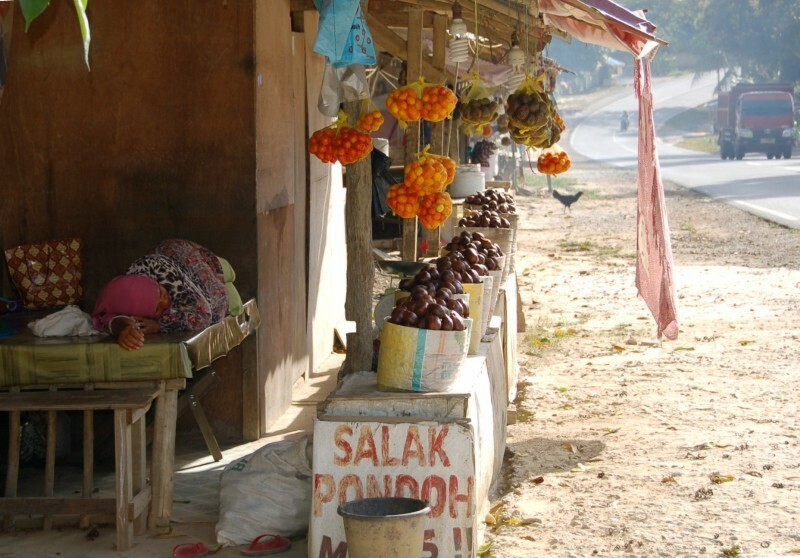 And on the way back to Balikpapan, you can stop at a street-side stall and buy some of that salak (snake fruit) for yourself. 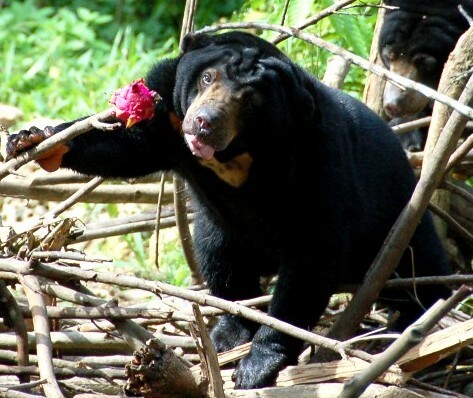 So in a way, you really are sharing a meal with the sun bears!